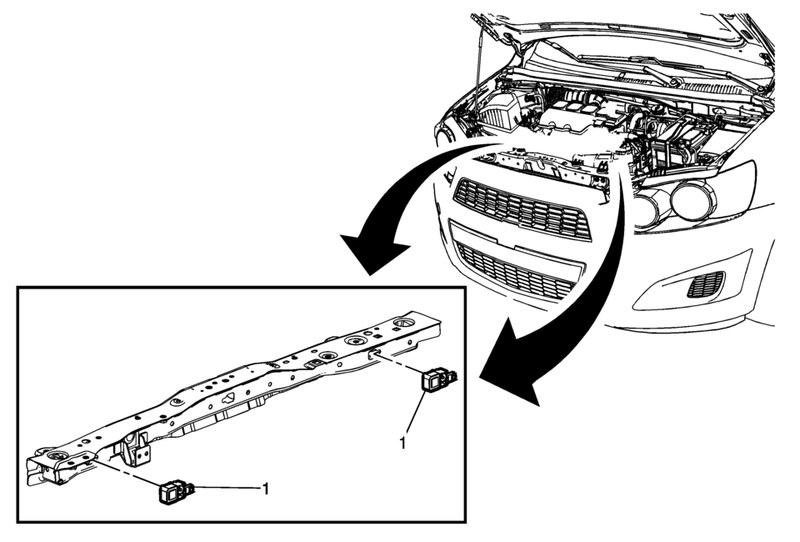 If replacing the left side sensor, reposition the surge tank without draining the coolant. Refer to Radiator Surge Tank Replacement. Loosen the bolts and slide the sensor out of the keyhole slots. The bolts are integral to the sensor assembly and DO NOT remove separately.